Ice Breakers - LamaLo Technology Inc. 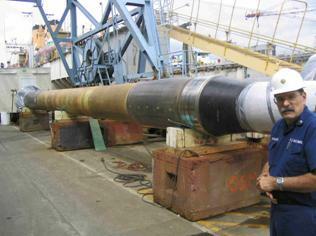 Conduct the theoretical shaft alignment and vibration analyses. Measure the shaft alignment condition and torsional vibration characteristics. Conduct the dynamic simulation of entire propulsion system to determine the control system changes required and the ability of propulsion system to meet performance requirements with the new propellers fitted. LLT managed and directed the simulation work and reporting. The computer simulation programming was sub-contracted. The vessel returned to service and the propeller performance was excellent. 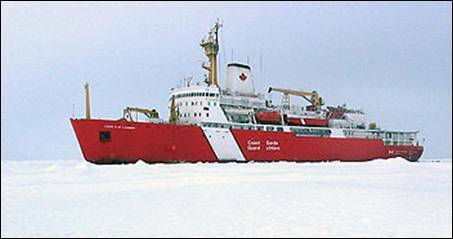 The U.S. Coast Guard (USCG) operates two Polar Class Icebreakers, the Polar Star and Polar Sea. They have a length of 399 feet and a displacement of 13,500 tons, and are also the most powerful non-nuclear icebreakers in the world, with a maximum rating of 3 x 20,000 shaft horsepower. Each propeller shaft is supported by two water lubricated sterntube bearings. The bearings are a dove-tail slot stave design. Both the aft and forward bearing materials are Thordon XL (Polymer Alloy). The bearing shells are supported by five lands that are integral with the stern bossing. The fit of the bearing shells to the lands in the aft stern tube has been lost. This has resulted in increased corrosion of the lands, fretting and insufficient support of bearing housing. The land rings have been “built up” by applying Belzona. For this application the lands have been repeatedly undercut and boring undertaken to restore fit. 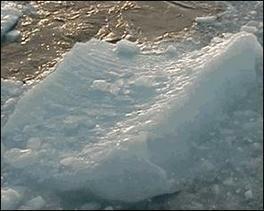 Using this method of repair has proven to be short lived and expensive to maintain. LamaLo Technology was contracted to develop a permanent repair and/or redesign that would effectively address the loss of fit as well as provide for a reliable bearing. The USCG asked that the study focus on the potential of chocking the bearing shell in permanently with a suitable material. The bearing design arrangement was examined, with particular attention to considerations for ice-class service. The properties of potential bedding, filler (between lands), and bearing materials were assessed. Modifications to the bossing and bearing length were also examined. The recommended modifications to the aft sterntube bearing were implemented on both the USCGC Polar Sea and Polar Star. The CCGS Terry Fox is a CAC 4 Icebreaker, and has a twin screw propeller configuration, each rated at 10,900 HP (8,090 kW). 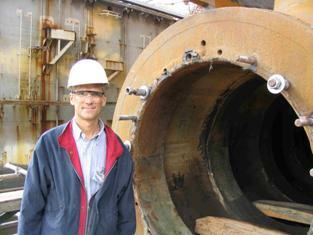 In March 2003 the port middle lineshaft bearing failed in service. The bearing babbitt was wiped as well as cracked and de-bonded from the bearing casing. A new bearing was procured and installed. 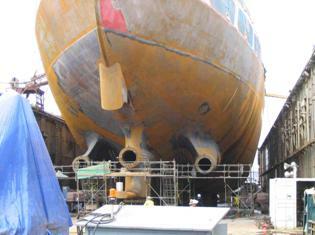 The alignment measurements indicated that alignment was satisfactory and had not changed significantly since June 1999. The failure of the bearing was attributed to a decrease in the strength of the babbitt, and the bond of the babbitt to the bearing casing, after the bearing was slightly damaged in 1999. Since the lineshaft bearings are subject to higher forces than convention non-ice class lineshaft bearings, and were over 20 years old, further failures of lineshaft bearings could be expected. Therefore, it was recommended that other bearings be visually inspected to determine if the babbitt is degrading or de-bonding from the bearing casing. It was also recommended that a spare bearing be kept on board, along with the tools required to replace a bearing at sea. Mr. Bruce Cowper of LamaLo Technology Inc. has worked for over 15 years on measurement, analysis, and design of ice class propulsion systems, including research work used in the development of design criteria for ice-class propulsion machinery. This has included working with IACS on the development of Unified Requirements for Polar Ships, and with the Canadian Coast Guard / Transport Canada on revision to the Canadian Arctic Pollution Prevention Regulations (Propulsion Machinery and Powering). Bruce has managed a number of icebreaker full-scale trials, and has extensive experience on trials investigating the performance of ice-class propulsion systems. 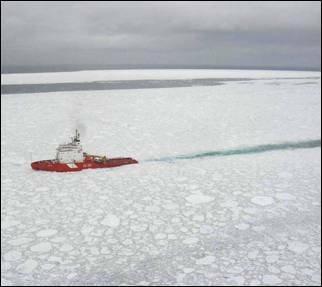 Trials work has been conducted in the Antarctic, Arctic, Canadian East Coast, and the Saguenay River, on more than a dozen icebreakers and on the Canadian Ice-Breaking Oil Tanker MV Arctic. Mr. Cowper has also acted as specialized technical liaison with Russian experts on icebreaking technology in St. Petersburg, Russia.